Viknesh Vijayenthiran July 31, 2018 Comment Now! 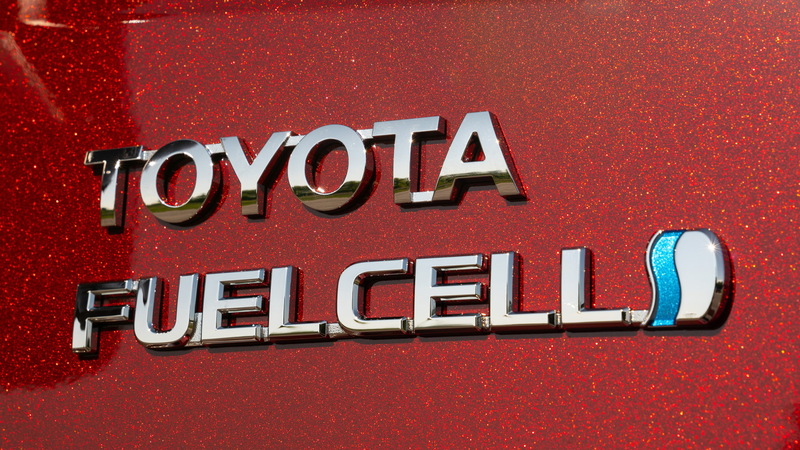 Toyota isn't giving up on its support of fuel cells and is instead working on applying the technology in both passenger cars and commercial vehicles. The automaker already has a fuel cell car on sale in the form of the Mirai and has hinted at more offerings, including from its upmarket brand Lexus. 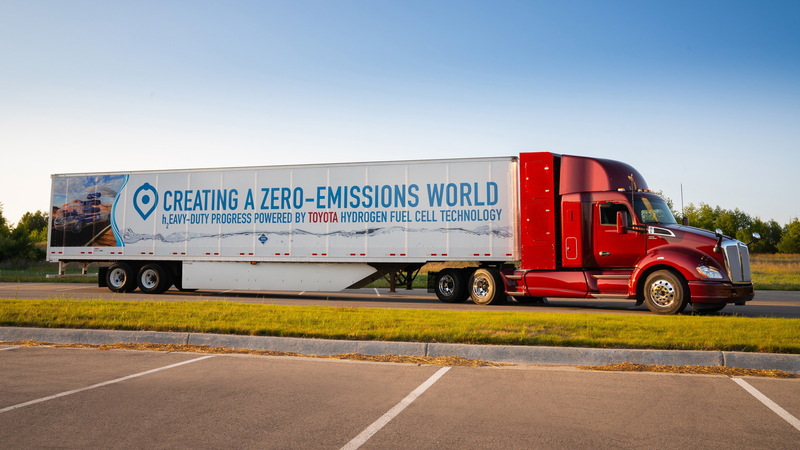 Toyota doesn't have a fuel cell-powered commercial vehicle on sale yet but is in the process of developing one, specifically a Class 8 semi-trailer truck. First shown in April 2017, the fuel cell truck, code-named Project Portal, started a trial the following October that saw it haul goods from Port of Los Angeles and Long Beach Port terminals to surrounding rail yards and warehouses for distribution. Now Toyota has an updated version with more range, the Project Portal 2.0, that will be used for further testing at the Los Angeles ports. 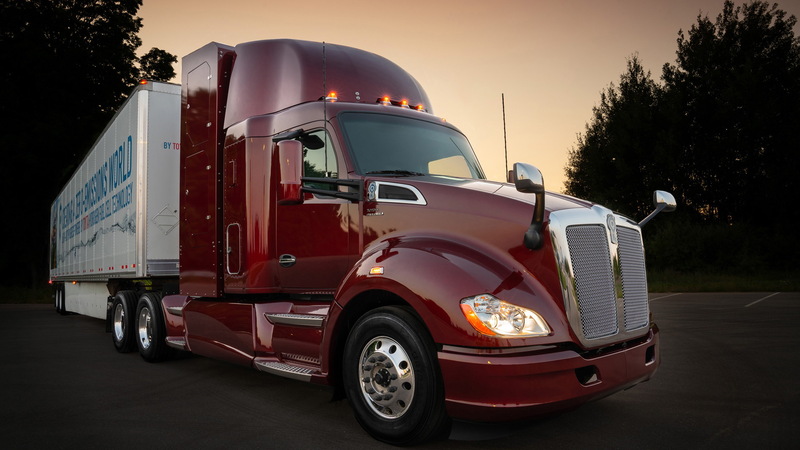 The Project Portal 2.0 features a similar powertrain to the earlier truck but has a range of 300 miles per fill, up about 100 miles from before. The new truck also enhances versatility and maneuverability with the addition of a sleeper cab and a unique fuel cabinet combination that further increases cab space without increasing wheelbase. The fuel cell truck weighs 80,000 pounds and features two Toyota Mirai fuel cell stacks generating enough energy for the truck’s electric drive system to deliver 670 horsepower and 1,325 pound-feet of torque. The only emissions produced are water vapor. Of course, the biggest hurdle remains finding a supply of hydrogen. Toyota's plan is to build a fuel cell carbonate hydrogen generation plant at the Long Beach Port by 2020 with help from a company called FuelCell Energy. To be called Tri-Gen, the 100-percent renewable facility will use bio-waste sourced from agriculture to generate water, electricity and hydrogen. Toyota says the facility will be able to generate 2.35 megawatts of electricity and 1.2 tons of hydrogen per day, enough to power the equivalent of about 2,350 average-sized homes and meet the daily driving needs of nearly 1,500 vehicles.